What will you do with the extra strength and confidence? 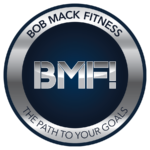 Bob Mack understands that in order to develop and maintain peak achievement, there are steps. I highly recommend Bob Mack's training technique. You see results quickly and the routines are never boring. He also adds some great self defense routines for those interested. Being in the entertainment business I've worked with some of the best personal trainers available and Bob is at the top of his class. His credentials are impeccable. Bob Mack strives to make you the best you can be, while still making the work fun. You'll want to continue training instead of making excuses to stop! If you are looking for some awesome, knowledgeable people to work with, these are the guys I highly recommend. Their friendliness and result-driven approach is what I love about them. Donec nec justo eget felis facilisis fermentum. Aliquam porttitor mauris sit amet orci. Aenean dignissim pellentesque felis. At BMF! I accomplished two major goals. Lost ALL of the weight I wanted to and completed my first marathon.